CR-00249-13 – James A. Garrett – plead guilty to Offer File False Instrument 2nd, a class A misdemeanor in full satisfaction. On 7/21/14 a sentence of $500 fine was imposed. Mandatory surcharges and fine were paid in full. During the time James Garrett was arrested on felony charges and plead guilty to a reduced ‘misdemeanor’ crime involving lying about his treatment, Samaritan Counseling insisted I continue ‘treatment’ with him, completely refused to hear my complaints on multiple occasions, and finally terminate-referred me to James Garrett. Samaritan Counseling has still not acknowledged any of these facts. Samaritan Counseling (a ‘faith-based’ organization of state licensed social workers) forced me into ‘addiction treatment’, forcing me to pay for more and more treatment and to say that it was helpful to me even if it wasn’t. Samaritan Counseling continued to insist I engage in treatment with this fraudulent provider even after he was charged with five felonies by state police for falsely reporting treatment success for money. I wasn’t on probation, but I was in a similar situation. They kind of manufactured a ‘probation’ for me by making me feel I had done something wrong by rejecting 12-step rehab, by shunning me from ‘non-addictions’ therapy until I was re-indoctrinated and compliant. 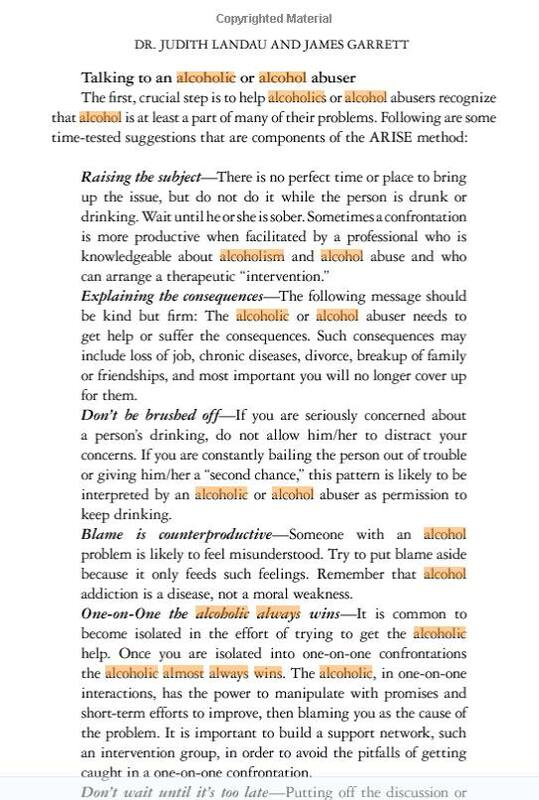 When I made it clear that I was never going to become an Alcoholics Anonymous member after this nightmare, I was permanently banned from communications with Samaritan Counseling — the ‘natural consequence‘ of not ‘following all of [Jim Garrett’s] recommendations’ (which include not filing any complaints because that indicates ‘resentment’). James Garrett is the co-author (with Judith Landau) of the 12-step interventionist’s manual Invitational Intervention (the ARISE method, which is like an extended Johnson intervention except that it denies it is coercive). How is it that the State Police thought something was seriously criminally wrong here, but nobody in New York State Education Department or the Justice Center see any problem at all? “SCHENECTADY — A certified substance abuse service provider has been accused of faking the results of drug tests that were supposed to be conducted on a Schenectady County probationer. James A. Garrett, 65, of Averill Park, was charged this week with five felony counts of offering a false instrument for filing. He’s accused of providing the false information on five separate dates between August and December, according to papers filed in court. In the documents, Garrett is accused of falsely certifying the probationer “was attending individual sessions, maintaining abstinence from alcohol and testing negative for drugs,” according to court papers. The case was investigated by state police. “Essentially, he was providing documentation that urine samples were submitted and OK when he wasn’t in fact performing that service,” state police spokesman Trooper Mark Cepiel said. Garrett is accused of then receiving compensation for the fake results. Garrett appeared Monday in Schenectady City Court and pleaded not guilty. He is being represented by attorney John Della Ratta. Della Ratta could not be reached for comment Tuesday. Garrett is on the state Office of Alcoholism and Substance Abuse Services list of “Providers of Clinical Screening and Assessment Services for the Impaired Driving Offender,” according to a spokeswoman for the agency. He did that work on his own, not for a larger company, police said. Schenectady County spokesman Joe McQueen said Tuesday county Probation Department officials checked and no other county probationers used Garrett, who was based outside of Schenectady County. The probationer is responsible for arranging for the services. Garrett is also listed with the state Department of Education as a licensed clinical social worker. He has been a certified social worker since 1979, records show, and he is registered through 2016. The alleged scheme was revealed by the probationer himself, prosecutors said. It was unclear what led to the revelation. The probationer is identified in papers as Alan Cuomo. Cuomo, then 47, of Rotterdam, was arrested in 2012 in Guilderland and charged with driving while intoxicated. He pleaded guilty to felony driving while intoxicated and was sentenced to five years of probation, records show. His probation was then transferred to Schenectady County. Summary: Licensee admitted to charge of having been convicted of Criminal Facilitation in the Fourth Degree, a Class A Misdemeanor.